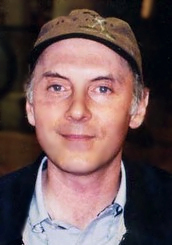 Dan Castellaneta is an American film, theatre and television actor, comedian, voice artist and television writer. Noted for his long-running role as Homer Simpson on the animated television series The Simpsons, he also voices many other characters on The Simpsons, including Abraham "Grampa" Simpson, Barney Gumble, Krusty the Clown, Groundskeeper Willie, Mayor Quimby, and Hans Moleman. Born in Oak Park, Castellaneta attended Oak Park and River Forest High School. Upon graduation, he started attending Northern Illinois University in the fall of 1975, studying art education with intentions to become an art teacher. His vocal talents took root listening to his father's comedy records and doing impressions of the artists. After graduating from Northern Illinois University, Castellaneta joined Chicago's Second City in 1983, and performed with the troupe until 1987. He was cast in The Tracey Ullman Show, which debuted in 1987. The Tracey Ullman Show included a series of animated shorts about a dysfunctional family. Voices were needed for the shorts, so the producers decided to ask Castellaneta to voice Homer. His voice for the character started out as a loose impression of Walter Matthau, but later evolved into a more robust voice. The shorts would eventually be spun off into The Simpsons. Castellaneta has won four Primetime Emmy Awards for Outstanding Voice-Over Performance for his work on the show as well as an Annie Award for Outstanding Individual Achievement in the Field of Animation in 1993. Castellaneta has co-written four episodes of The Simpsons with his wife Deb Lacusta. In 1999, he appeared in the Christmas special Olive, the Other Reindeer and won an Annie Award for his portrayal of the Postman. Castellaneta has also released a comedy CD, I Am Not Homer, and wrote and stars in a one man play titled "Where Did Vincent van Gogh?". Castellaneta has also made guest appearances in a number of television series episodes, including L.A. Law, Arrested Development, Stargate SG-1, ALF, Campus Ladies, Entourage, Everybody Loves Raymond, Frasier, Friends, How I Met Your Mother, Mad About You, Married... with Children, Murphy Brown, NYPD Blue, Reba, Reno 911!, That '70s Show, Veronica Mars, Yes, Dear, and Desperate Housewives.